This image is taken from a 4th century gold glass vessel found in the Roman catacombs. It includes motifs commemorating the Temple and its ceremonies. 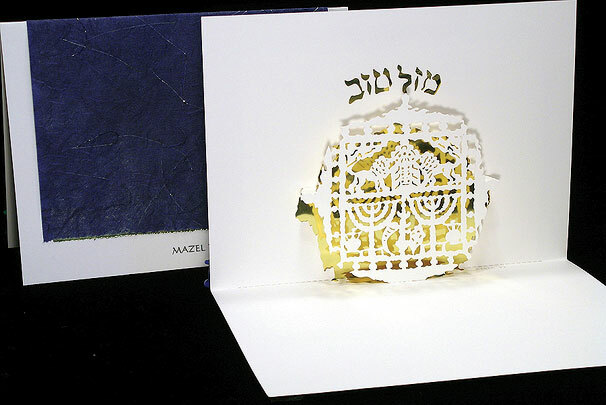 The Hebrew inscription is mazel tov.